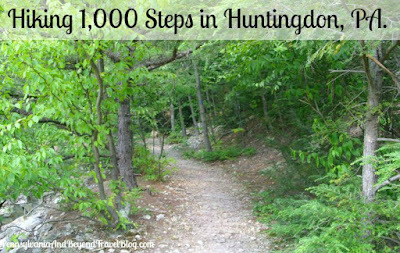 1,000 Steps is a Hiking Trail located in Huntingdon Pennsylvania, off of U.S. route 22. This hiking park offers free admission and free off-road parking (it's a pull-off area alongside the road) to visitors. 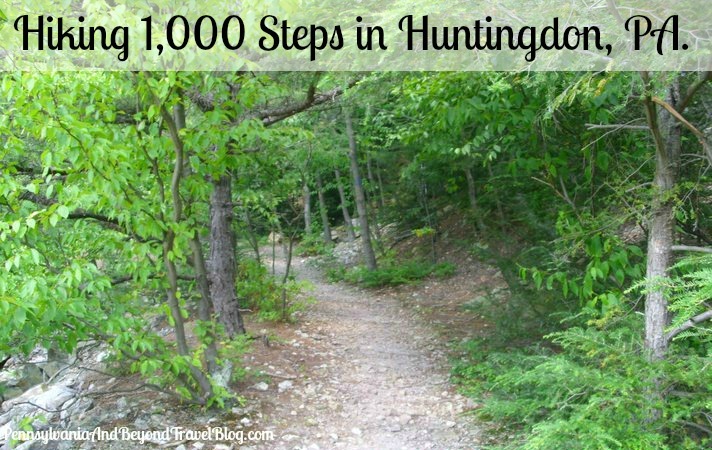 One Thousand Steps is part of the National Heritage Trail. 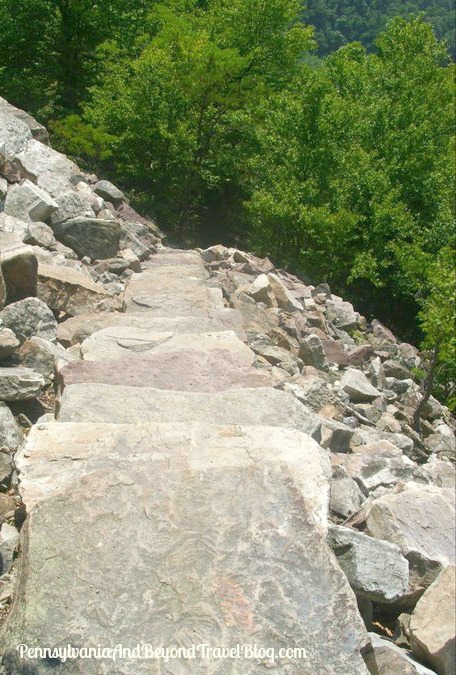 This hiking trail was built into the side of Jack's Mountain and was used by local miners to go back and forth from their mining job. This mountain was mined heavily from 1900 to the early 1950's. These days as you walk & hike along the trails, you'll find beautiful fossils and petrified wood for decades and centuries past. Elevation can reach as high as 2,321 feet. 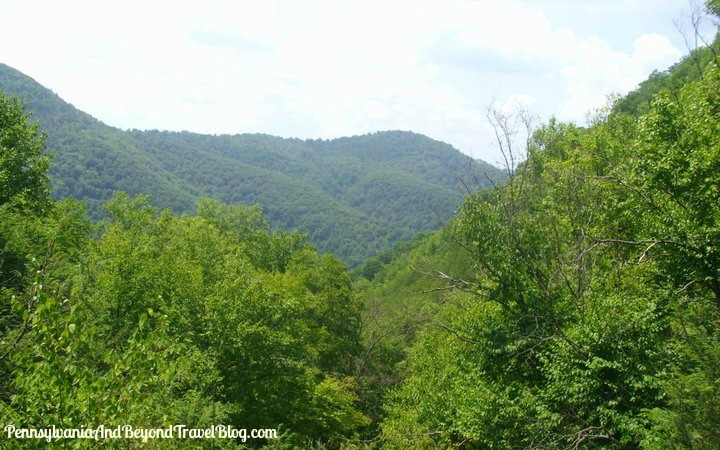 The Juniata River runs through this mountain, so it offers visitors some spectacular views of the surrounding area. If you have breathing issues, I don't recommend this trail, at least going the entire way up to the top. When visiting, you'll want to wear appropriate clothing, including hiking shoes or walking shoes. In addition, take some non-refrigerated food with you and plenty of water to drink. You'll want to pack some sunscreen and insect repellent too. 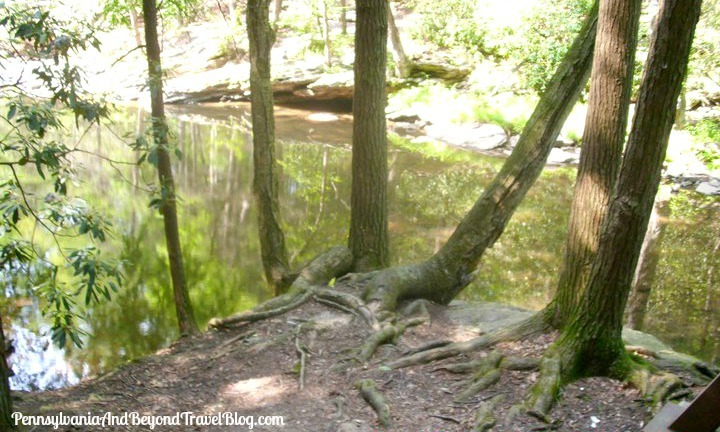 The best time to go hiking on these trails is during the spring, early summer and fall seasons. Dogs are permitted as long as they stay on a leash and under the owner's control. In addition, please have your dog do his/her business somewhere OFF the trail! No one wants to accidentally step into that! The trail is approximately 3 1/2 miles and length and is considered to be an intermediate to expert hiking trail. 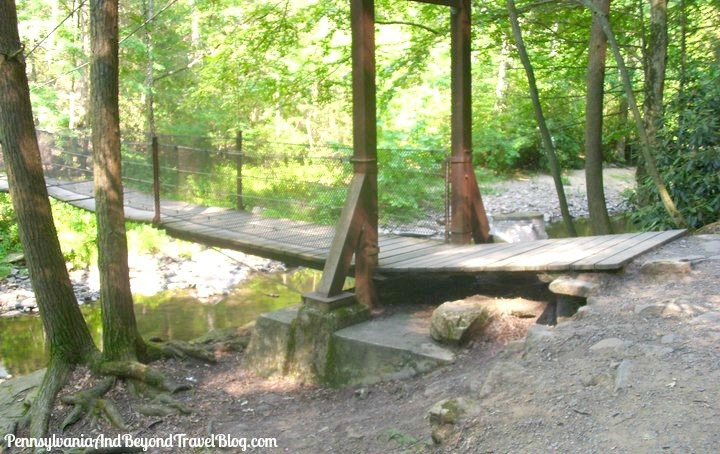 In other words, if you're not in good health and physical shape, this trail is not for you. It's rocky in places, steep inclines going up and narrow at times. On the day that we visited, we had gorgeous weather with temps near 80 degrees and low humidity. The sky was a gorgeous blue, a few clouds, but nothing major on the weather horizon. We spent several hours here walking the trails and enjoying the beautiful scenery. We highly recommend taking this outdoor adventure if your relatively in good health and are used to a lot of physical exercise. 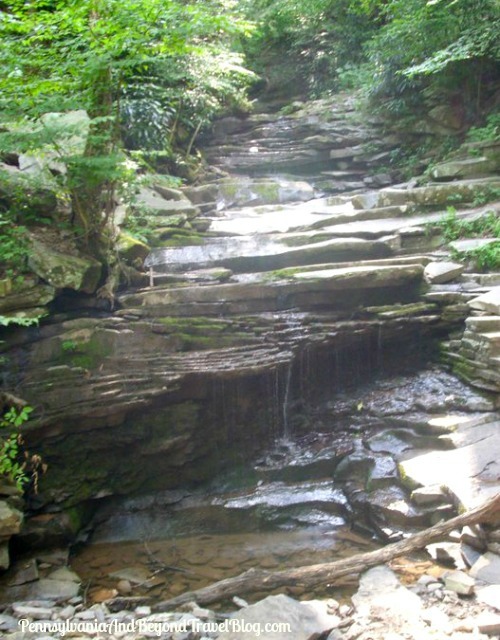 You'll definitely get a workout and be treated to some of the prettiest scenic views that Pennsylvania has to offer. 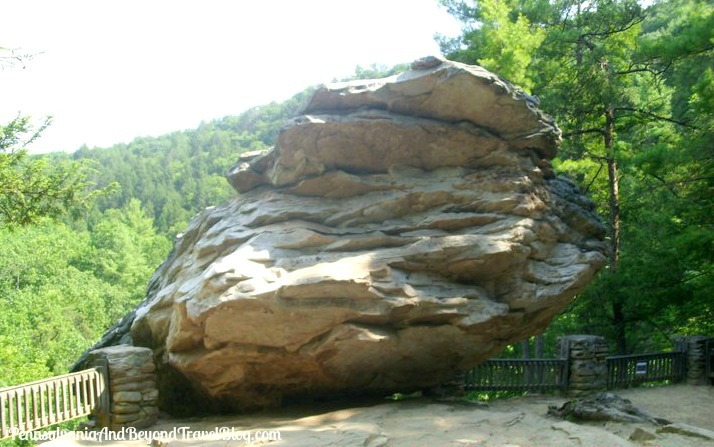 Note: All photographs in this travel feature are clickable. Click on each one and it will automatically open up in a new browser window and in an enlarged size, allowing you to see the smaller details up close. We keep our photos this size so that we are mobile-reading friendly for those who use tablets and smartphones to access our site. This sounds like a lovely hiking trail, but unfortunately our health would not let us walk it. I enjoyed looking at your photos of the views.